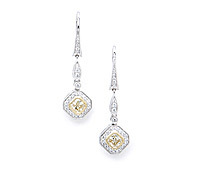 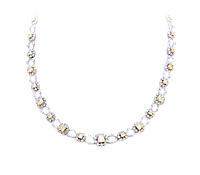 Yellow diamonds are the newest way to add a special flash to your bridal jewelry set. 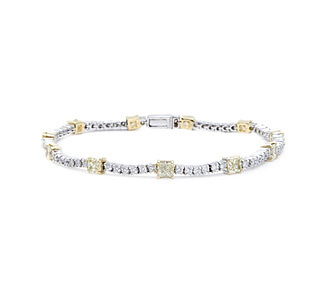 This diamond bracelet features nearly 4 carats of diamonds including natural light fancy yellow diamonds in white gold. 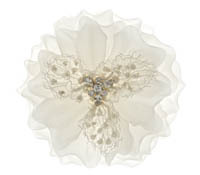 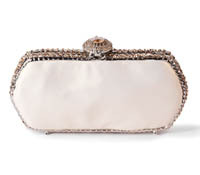 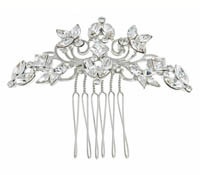 Borrow bridal jewelry to complete your big day! 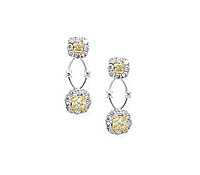 Diamonds: Fancy Light Yellow & White 3.71 TW | Gold: 18K White & Yellow | Length: 6 7/8 in.